The agency had recently expanded the probe in this regard as it took over investigation into the alleged loan default of Rs 6,027 crore. NEW DELHI: Taking its investigation to a next level against liquor baron Vijay Mallya, the Enforcement Directorate (ED) on Saturday attached properties worth Rs 6,630 crore in connection with its money laundering probe. Seized properties include Mallya’s farmhouse, flats and Fixed Deposits. The money laundering probe agency had recently expanded the probe in this regard as it took over investigation into the alleged loan default of Rs 6,027 crore availed from a consortium of nationalised banks led by SBI, a case also taken over by CBI recently. And ED officials maintained that the fresh action is an aftermath of the new case. The total attachment made by the agency in this case has now shot up to Rs 8,044 crore as it had attached assets worth Rs 1,411 crore few months back. 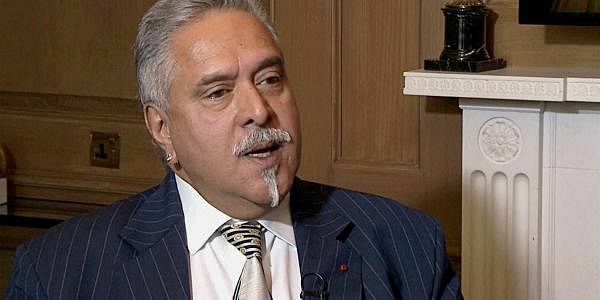 According to a statement issued by the ED that he provisional attachment order, issued under the provisions of the Prevention of Money Laundering Act (PMLA), for seizing a farm house in Mandwa in Alibaugh worth Rs 25 crore, multiple flats in Kingfisher tower in Bengaluru worth Rs 565 crore, fixed deposits of Mallya with a private bank to the tune of Rs 10 crore and shares of USL, United Breweries Limited and Mcdowell Holding company, jointly held by the liquor baron and UBHL and his controlled entities, worth Rs 3,635 crore. “The total attachment under today's order is worth Rs 4,234.84 crore but the present market value of these properties and assets is Rs 6,630 crore approximately,” ED said in its statement. The agency alleged these assets were the "proceeds generated out of criminal activity" of the alleged default of bank loans as it claimed Mallya "criminally conspired" with Kingfisher Airlines (KFA) and United Breweries Holdings Limited to obtain funds through the consortium of banks and out of this total amount, the principal fund of Rs 4,930.34 crore "still remains unpaid." "In addition, huge number of shares were also being held in the name of various other group companies controlled directly or indirectly by Mallya. Hence, it appeared that even though sufficient funds were available with the promoters of KFA-- Mallya and UBHL-- they had no intention to make payment towards the bank loans from the consortium banks.” Statement added. ED had recently filed a fresh PMLA case against Mallya and his associates after it booked him earlier under the criminal law in a case of similar alleged bank loan default of Rs 900 crore against IDBI bank. The CBI also, early last month, filed this fresh case under IPC sections related to criminal conspiracy and cheating against Mallya on the basis of a complaint received from SBI on behalf of the consortium of lenders for allegedly causing a loss of Rs 6,027 crore to them by not keeping repayment commitments of loan taken during 2005-10. By registering the fresh case, ED wants to strengthen its probe against the liquor baron and expedite a slew of actions it has initiated against him, including getting issued a global arrest warrant by Interpol and invoking the India-UK Mutual Legal Assistance Treaty (MLAT) to force the businessman to return and join the investigation. Besides Mallya, his companies Kingfisher Airlines (KFA) and United Breweries Holdings Limited have also been named as accused in the CBI FIR which is now part of the ED case. According to sources, the agency wants Mallya to join the investigation in these cases "in person" and has virtually exhausted all legal remedies like seeking an Interpol arrest warrant and getting his passport revoked. Mallya and others are alleged to have diverted a part of the loan to some of their offshore businesses as the ED alleged he "created a complex web of shell or investment companies in the name of his family members and employees with dummy directors".